It’s not a stretch to say that college students don’t always sport the best day-to-day style when we wear leggings to class and forget to even put contacts in. Forgiving this, a lot of college students do care about fashion, and when time permits, want to look good. In order to stay on top of trends it helps to take a look at some shows from New York Fashion Week. Sometimes fashion week looks like a lot of unrealistic, way out-of-your-budget, couture clothing meant for the red carpet. But there are ways you can make these trends your own. With the right style inspo you can do better than the “basic” college look. The classic brand stayed true to tradition for its Fall 2016 collection. 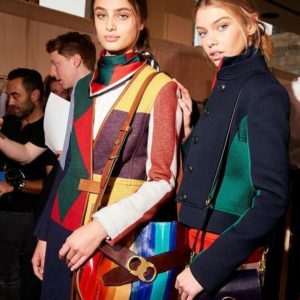 Maintaining his nautical, preppy theme, Tommy unveiled a collection full of fun collars, stylish coats and polished dresses. The color scheme incorporated lots of navy and cream with red and gold accents. The line embodies modesty in several nuanced 40s-style silhouette dresses, but playful patterns and splashes of sparkle kept the collection young. Gigi Hadid graced the runway for the show, which is perfect timing considering her collaboration with Tommy Hilfiger this year. Stay tuned. It’s sure to be just as chic as she is. Even though TH is a bit pricey, their simplistic style is easy to copy with items from more reasonable stores. For those students trying to break into the workforce, BR is always a go-to option for building a young professional wardrobe. The brand did a presentation show, meaning that models stood around for a couple hours while people looked at them. Not awk at all, right? The neutral color palate and classic silhouettes did not make for a shocking display, but the clothes were still impeccable. 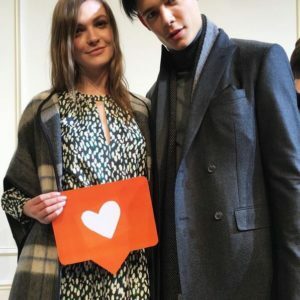 Since so many of the clothes shown at fashion week are obviously not suitable for day-to-day wear, it’s nice to see a practical collection on display. Oh Kate Spade, where I end up spending hundreds of dollars on a monotone pastel bag. I often forget that they also have clothes. Similar to their purses, their clothes are simple but somehow oh-so classy. 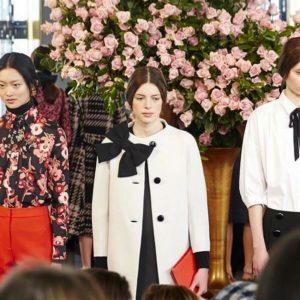 The Kate Spade presentation show had some structured coats and high necklines, which if you can get over that suffocating feeling are pretty sophisticated. The collection ended up rather Kate Middleton-esque, so if you have your eye on a prince I’d start saving up for this stuff. 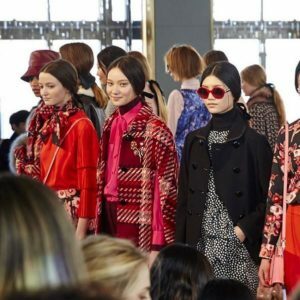 Vibrant and colorful, the Tory Burch show definitely had some attention-grabbing pieces. 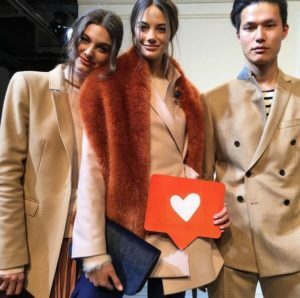 While some of the clothes were a bit questionable for my taste (like a shiny, colorfully striped midi skirt) I would kill to have several of the pieces, particularly that gorgeous color-block coat, in my wardrobe. 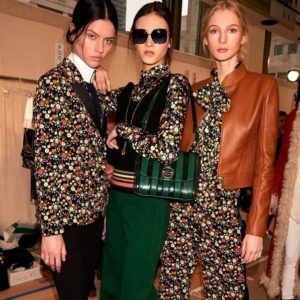 With lots of geometric patterns and primary colors, Tory Burch delivered a fall collection that strayed away from worn out browns and other bland neutrals. 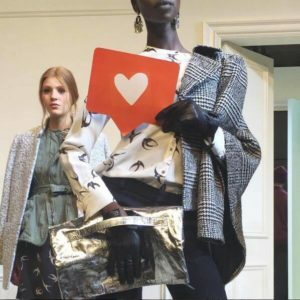 The collection’s pieces ranged from girly, feminine silhouettes to more androgynous looks, so every girl could find something to covet. This year J. 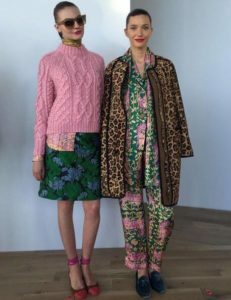 Crew welcomed new head women’s designer Somsack Sikhounmuong, but the clothes still embodied the traditional J. Crew style. A staple in the preppy college student’s wardrobe, J. Crew never fails to deliver timeless style that can be worn to class or at a fancy internship. With pops of bright pink, it looks like color for winter is in this year. The collection has all of the fall/winter favorites, like chunky sweaters and thick coats, but also features some interesting pieces, like these silky, pajama-looking sets. I mean hey, if pajamas are in style this year I’m definitely down. Pro-tip: J. Crew Factory stores are like God’s gift to the prep on a budget. Last season’s clothes can usually be found there for far cheaper.